For many of us, gift giving is the biggest stress of the holiday season – from finding time to shop, to selecting the right gift, to getting the best price. We struggle emotionally knowing gifts often hold symbolic meaning for the recipient; yet, not having other ideas, we go to our default mode of shopping big box retailers for the “latest and greatest.” We do this despite the fact that these products tend to become outdated or lose their appeal within days. 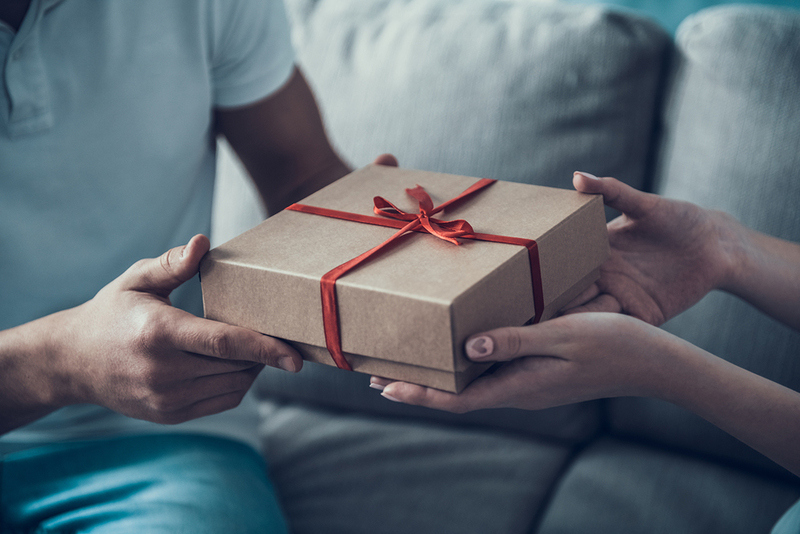 To practice this outside-of-the-box gift giving, start by thinking of gifts for loved ones that might help solve a problem, support a hobby, enhance a sense of community. For those that require a purchase, set a price range within your means. You don’t have to buy gifts to fulfill big dreams, but it’s likely you can find or make something that holds meaning for the recipient. The Gift of Presence. Do you know an overworked single parent? Make your gift a double: a gift card to a spa or salon while you watch the kids. A lonely friend or neighbor? Make up a gift certificate for time together, your treat: lunch, movie, theater, or museum. The Gift of Service, Skill, or Talent. Maybe someone needs help around their house. Or your unique skills. If you sew, make a gift card offering to sew for someone. If you draw, paint, take pictures, or are an excellent cook, put these talents to use in the form of a gift or offer to teach them your skill. Another idea: a coupon book for services, such as rides, lawn maintenance, housekeeping, pet watching, that can be used throughout the year. The Gift of Igniting Passions. If you know someone who talks about wanting to learn to paint, buy them a series of classes. Or a how-to book and some supplies. On the other end of the spectrum, if your mother-in-law hates grocery shopping, buy her a month of meal delivery service.